When I was asked to write a novella as part of The Forgotten Women series by Tom Kerevan, writer/producer at Cannibal Films, I knew exactly what I wanted to write straight away. This is rare for me, not only because I like to road test all my concepts, characters and storylines first, but because I have SO MANY ideas! 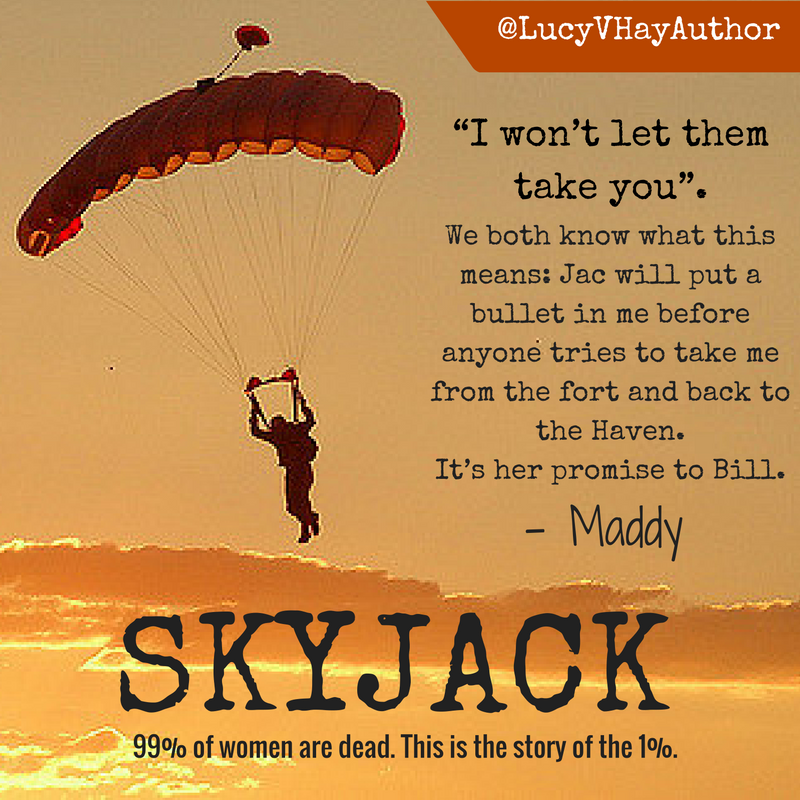 Trying to focus on one is usually excruciating for me, but for some reason Skyjack flowed effortlessly out of my brain, from picking my protagonist, the precocious and resentful woman-child Maddy, through to my supporting cast and plot. As part of The Forgotten Women series, Skyjack ties in with the storyworld of TEAR ME APART, a British dystopian movie set in a near-future where 99% of women have either died because of a mysterious event known as ‘The Fall’, or because men have killed the survivors. In the movie, two brothers find a young woman, Molly, whom may just be the very last female left alive. 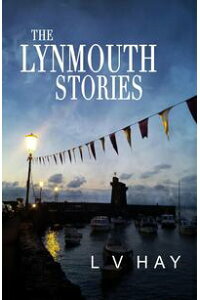 Set amidst gorgeous Cornwall scenery, the two brothers come to blows over what happens to Molly. But Skyjack – and the rest of the stories in The Forgotten Women series – are prequels to TEAR ME APART. In these stories, there is still a handful of woman left. With most women gone, many of the remaining females in this landscape as oppressed and handled as commodities, bought and sold by feral packs of young men who call themselves Raiders. This is a true patriarchy where women’s very gender is both a prize and cross to bear: to be female in this landscape is dangerous. Many of the women have banded together, suspicious of males altogether in case they could be Raiders, hiding away in female-only spaces. Of course, even in this horrendous dystopia not all men are bad or part of Raider groups. Some, especially those who were served as soldiers in the world before the apocalypse, have made it their duty to protect and hide woman. Realising strength in numbers (like the Raider packs) these men have created barracks and forts in rural areas like Devon, living with women and children amongst them and have vowed to keep them safe – or die trying. 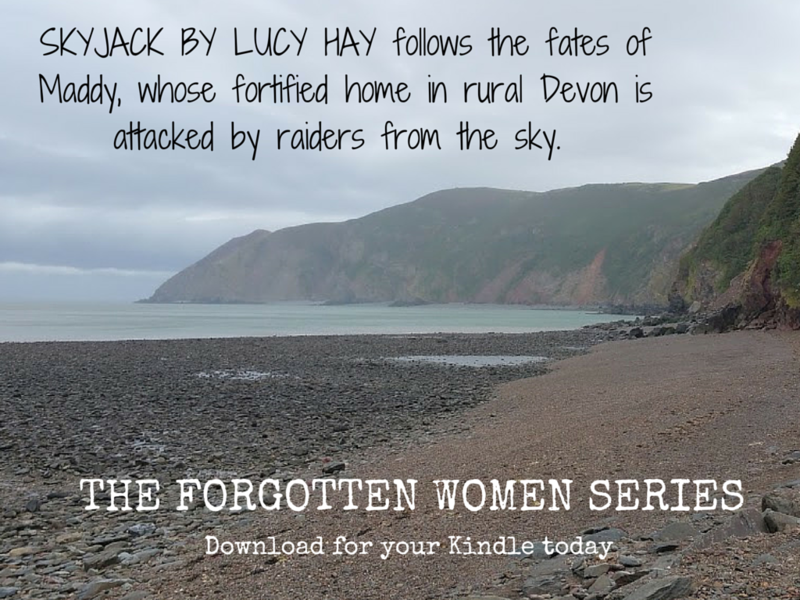 In my story, Maddy lives in such a fort in rural Devon – the picturesque seaside village of Lynmouth on the North Coast. Her people have taken up residence in a big hotel on the cliffside. As part of a huge valley, there are only a few main roads into this village leading from the moor. Maddy’s father Bill – leader at the fort – has ordered the roads blocked with large boulders, which are not in short supply thanks to the massive gorge that runs into the river and out into the sea. They are protected, they think, from all eventualities: from a high vantage point, they can see any potential Raiders from the sea, road or moor. But they forgot the air! I visit Lynmouth a lot, it’s one of my favourite day trips as I’m lucky enough to live in Devon; it’s roughly an hour away from my house now. The beach in the picture above is Lynmouth beach. Called ‘Little Switzerland’ by some, it was a favourite destination of Percy and Mary Shelley’s, they holidayed there with Lord Byron. So in my head there was already that literary, feminist connection (Mary Shelley’s mother was Mary Wollstonecraft after all! ), plus I’d already clocked what a useful place it would be if there really was an apocalypse due to its geographical isolation. My husband and I had already joked many times that if The Walking Dead ever made it into reality, Lynmouth would be the place we’d pack up with the kids and hide at, creating a fort at The Tors Hotel on the cliffside (also a real place). Growing up in Devon, you get used to seeing soldiers, military vehicles and signs everywhere. There are lots of barracks in places like Exmouth and Chivenor, plus you’d be well advised to stay away from training grounds on the moors or at places like Braunton Burrows. As a teenager, I found myself both attracted to, and repelled by, soldiers. On the one hand, they were often lean, strong men (and women!) who were capable and confident, whom I’d want on my side in a crisis. On the other, they were not only symbolic of violence and government oppression (especially to me, as a hippy-esque teenager), I’d also seen their brute force first hand on more than one occasion in pub fights and street brawls. As a result I both admired them and avoided them and I took this element into Maddy, my main character who might love her father Bill, the fort’s leader, but she also resents him too. He’s been away, deployed in places like Afghanistan for most of her youth … but at the same time, it was him who rescued her from government scientists and took her to the fort. My family had just been to a wedding. We were travelling home the next day on the motorway, the kids asleep in the back. It was very clear, hardly any cars on the road and my husband was humming along to the radio. I was bored and as I frequently do, I was staring up at the sky through the car sunroof. It was July and one of those exceptionally sunny days, where the blue sky seemed to go on for miles. Through the sunroof, I noted a black swirly thing, going round and around in a weird pattern. I didn’t know what it was so squinted and realised it was a parachute, coming in unbelievably fast. The chute was basically half-up, half-down which accounted for the weird swirling movement. The guy was almost-but-not-quite in freefall. Still very high up, the ‘chute sailed over the car, as if the parachutist was going to land in the middle of the motorway on the other side of the boundary. I was so shocked I couldn’t speak: I was convinced in that second I was going to see a man from the sky run over by a lorry coming the other way. But as luck would have it, either he didn’t lose enough momentum or the up-draught got him again because the parachutist sailed over a massive fence, straight into a barracks nearby! And I could see why the parachutist had his arms in the air: five or six soldiers were running at him, their weapons raised! They must have thought he had chute-bombed them with sinister purposes in mind — Yikes. … turns out a pitch like ‘female characters, in a rural area like Devon and they’re under attack for some reason’ was my DREAM proposition! Skyjack is, of course, a total work of fiction, but sometimes these stories reside inside us, almost whole, just waiting to be woken up. Want to read the first chapter of SKYJACK, free? CLICK HERE. Buy SKYJACK for your Kindle, HERE. Buy THE FORGOTTEN WOMEN series, HERE.